How to Start an Online Clothing Store and Make Business Out of it? Based on a survey conducted by a popular website, it was found that amongst online purchases in countries like U.K, U.S.A, China, Russia, Spain, India, Turkey and Mexico, clothing products have been the most sought after. This is definitely great news to eCommerce clothing store owners. But with new online clothing websites sprouting every minute, it is very tough to gain a competitive advantage. As a result, shopping owners are willing to tread the extra mile in order to clamp their customers through daily deals, coupons, etc. But offering discounts alone won’t win you customers. It is all about making your online boutique store adaptive to the changing eCommerce dynamics. Now let me stop beating around the bush. To all existing and yet to become online store owners, this post is an earnest attempt to emphasize the importance of hiring the services of a professional eCommerce development firm to create your online clothing store. The community edition of Magento is free to use, flexible and very easy to customize. 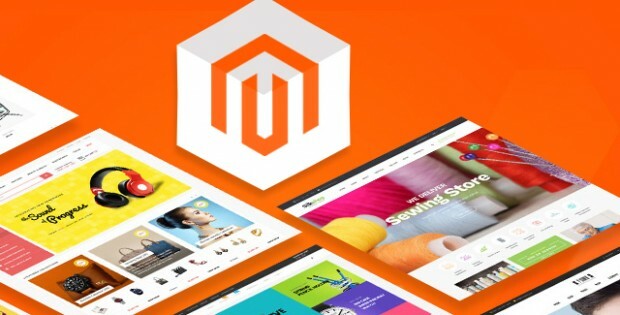 However expertise in PHP and Zend framework is required to integrate Magento extensions with your online clothing store and customize it to suit your business requirements. However the back-end operations are unambiguous and do not require any technical proficiency. Converting a visitor in to a customer is a big challenge and that is a very important aspect you need to focus on while building your online clothing store. Nevertheless, Magento has indigenous features and extensions that are customer centric and has the ability to spike up your online clothing store’s conversion rates. The complex registration process, which requires a barrage of details like name, age, mail-id, etc., gets simplified when you integrate the social login extension with your clothing site. This extension enables customers to register and sign in using their social networking accounts (Facebook, Google+, Twitter, etc.). Altogether there are 18 social networking services supported by this extension. Similarly, the one step checkout extension minimizes the lengthy registration form in to a single page. The flexibility of Magento makes it simple to integrate a battery of top quality payment gateways with your boutique website. It supports over 50 payment gateways with PayPal, Authorize.net, Google checkout, Braintree, Sage Pay, Amazon Payments, WePay and Dwolla being some of them. Magento offers you the facility of making your online boutique shop multilingual and helps you reach out to customers from different regions. The language translation process is very simple. You can download the language pack from Magento commerce site. Once you are done, you can choose the language you desire to have on your boutique site. For a better insight go through this how to make your site multilingual. Customers might have added a product to shopping cart and logged out without purchasing it. On such occasions, this eCommerce platform offers a provision to send pending order notifications, thereby reminding customers about the products added on cart but not purchased. By this way you will be able to reduce shopping cart abandonment. Magento is one of the few platforms that are admin-centric. It gives admin the option of uploading simple, virtual, grouped, bundled, configurable and downloadable products. The back-end operations are very simple and less time consuming. Let us see what it has in store for the admin. As Magento is a scalable platform you can upload any number of products to your boutique website from the back-end. It also allows the admin to upload thousands of products at one stretch. Further admin gets the choice of uploading multiple images for a single product so as to portray a product in different angles. In an online boutique store, key attributes like price, quantity and stock availability status of clothes keep on changing. So it becomes a tedious process for the admin to update the products individually. 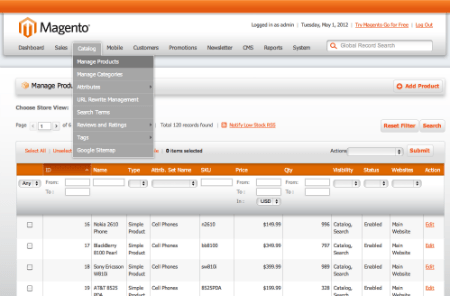 In Magento, ‘Manage products’ option, saves the admin’s precious time by facilitating product edits in bulk. Configurable products are the ones with minor variations clubbed under a common category. For instance a t-shirt that comes in different sizes like L, M and S can be categorized under single product and customers can select the appropriate size from the drop down menu. Configurable products help in keeping your clothing store tidy. Magento allows you to create configurable products for your clothing website. Extensions like reviews and ratings when embedded to your online boutique shop, enables your customers to post their genuine feedback and rate the products as well. However these reviews get posted only after the admin approves. Admin also has the option of modifying customer reviews at the backend. With 60% of online traffic coming from mobile phones, developing a mobile app for your boutique site is a must in today’s eCommerce world. In fact seeing the trend, online clothing giant Myntra has shut down its website and moved all its operations to mobile app. If you wish to follow suit, you can do so because Magento gives you the leeway to build a shopping cart app exclusively for your online clothing store. Further as it allows you to synchronize your app’s database with Magento database, the tasks executed in the website back-end gets updated instantly on your mobile app. Handling delivery duties forms the base for order fulfillment. If you build an on demand delivery app for your ecommerce store it can help in delegating delivery work, track products that are being dispatched right from the warehouse to the doorsteps of customers. These delivery tracking apps usually work with technologies like geolocation, GPS and seek aid from Google Places etc. On demand delivery apps can be of use to deliverers to navigate their way to the delivery destination. For customers, it helps them know where their products are. Using Magento, you can get this feature integrated within the mobile shopping app you have built for your ecommerce store. Safeguarding your customer’s credit/debit card credentials will be pivotal to create a trust factor. You can be rest assured of your online boutique store’s security as Magento gives you the option of using a secure URL and conducting transactions on HTTPS/SSL URL, thereby preventing account spoofing, DDOS attacks, etc. Magento is a search engine friendly platform. Therefore it makes SEO’s job simpler by improving your online clothing shop’s ranking prospects in the organic search results. Let us see the contribution of this eCommerce platform from a marketing perspective. It lets you create a search engine friendly canonical and redirect URLs for your clothing site and gives you the liberty of inserting keywords while creating meta tags for product pages and their respective categories. Magento dynamically generates an xml sitemap, whenever you create a new URL in your online clothing site. The privacy settings enable you to prohibit anonymous users from viewing your sitemap details. This eCommerce platform gives you the option of sending transactional mails and newsletters to your customers. These mails and newsletters have been made responsive. Hence customers won’t encounter any hassle while viewing mails through their mobile devices. Using social share plug-in in Magento, you can append social buttons to your online boutique shop. This plug-in gives customers the option of sharing products in their social networking site, thereby magnifying the reach of your clothing products. Using Magento Facebook Store extension, you can import your eCommerce store to your official Facebook page. So when you post a new product on your page it automatically appears on your customer’s feed and they can purchase their favorite products directly on Facebook without navigating to your boutique site. 38 Comments on "Build An Online Clothing Store With Customer Centric Features & Maximize Conversions"
I have customers from various places who use different languages. Is it possible to start an online clothing store with multiple languages? Yes. If you want develop a clothing website, A Magento based ecommerce website can be easily made compatible with multilingual features. In fact, there are extensions available in case the default web design does not come with multi-lingual feature. I am planning to start clothing business online. So which is the best cloud hosting service to make an online clothing website? It is a good decision that you have decided to use cloud hosting for your clothing website. AWS services are really good. It is also being widely used by many professional websites. Wish to know the steps to start an online clothing website for your boutique business? Here is how you can do it easily. That article was amazing, I am very much impressed with your thoughts. I got the best information from this blog, It’s very useful to all and us. Thanks for sharing this post. Really good tips you had published, it will help to those people who are going to start own clothing website as online. There are lot’s of ideas to get sales using magento platform with awesome features which boosts your business and provide ROI. Keep it up! I am also planning to build an online clothing store but I was not really sure of Magento platform. But now I am confident of using Magento. Thank you. Pleasure is mine. In case you need any assistance with regard to developing your online clothing store don’t hesitate to approach us. I have built my online clothing store in a Magento platform. I wish to integrate the Facebook store extension to my clothing store . It has been two years since I opened my online clothing site. Hence will this extension be compatible with my site and if so where can I find the extension? Since you have already created your online clothing store in Magento, integrating Facebook store extension isn’t a big deal and yeah it will be compatible. No need to worry about it. 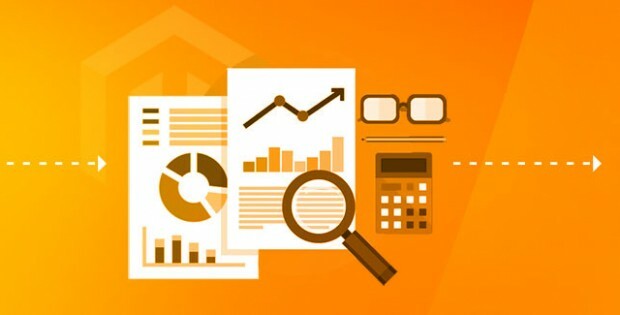 With regard to your second question visit https://www.apptha.com/magento/magento-facebook-store. If you need any technical assistance please write to bd@contus.in. You have said that apart from creating an online clothing shop, Magento enables creating app for the same. My question is do you need technical expertise to do that? Yes. You need to have technical expertise for creating an app for your online clothing shop. When a person opens an online clothing shop he will be interested in knowing the speed optimization techniques. But there has been no mention about it. I completely agree with you. While writing about opening an online clothing store I should have included speed optimization techniques. For sake of brevity , I haven’t included it. Anyhow, we periodically revamp our blogs. When we do so, I will definitely keep this point in mind. So far I have never come across such an elaborate post on building an online clothing website. Very informative post. Keep writing such unique things. Thank you so much. I will pass on the complements to our developers as they gave lots of details regarding building an online clothing website. I am planning to open an online clothing store in Italy. Does it support Italian? Oh yes it does. By installing the Italian language pack you can comfortably open your online clothing store in Italy. Do write to us, in case you need any assistance. How much do I need to invest for develop an online boutique store? Could you please give me a rough estimate? I am really sorry. I seriously don’t have any idea with regards to the cost involved in developing an online boutique store. However our business development team will have a better knowledge. Please post your query to bd@contus.in. I am sure, they will be able to guide you in this regard. Well, you have explained the advantages of building an online clothing store, but it could be more helpful if you could come up with a step by step tutorial kind of instruction set on how to build a clothing website using Magento. Thank you for your valuable suggestion. I will try implementing it in my upcoming blog post. You have spoken solely about Magento for opening an eCommerce clothing store. 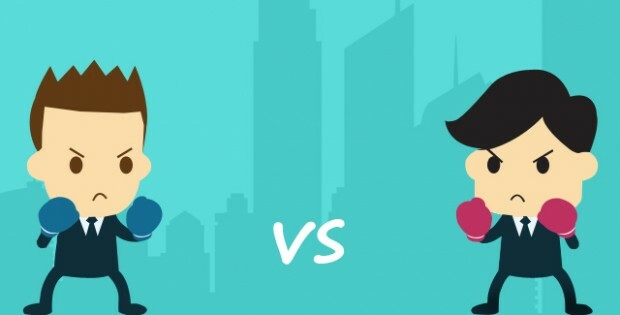 However it would have been more informative had you highlighted the benefits of Magento by comparing it with other eCommerce platforms like Shopify, Opencart, woo commerce,etc. Thanks for your suggestion. In fact that was what I planned in the beginning but then I changed my mind as I felt it could distract the readers. Anyway I will try implementing it in my next post. Before writing this blog I made an in depth analysis about the hottest online business. Most of the results were related to clothing accessories and that is why I choose “Starting an online clothing business” as the prime theme so that it will be of help to budding entrepreneurs. Why is that you have chosen to write about building an online boutique store in particular? It is a great revelation. I never knew Magento could be so handy for building online clothing website. I wish I had my store built on Magento. No problem. We can migrate your existing store to Magento. Do keep us posted in case of any assistance. In your blog you have projected the community edition of Magento for online Clothing business. Why have you not mentioned anything about Magento Enterprise? Thank you for writing to us. Magento Enterprise is certainly a very good option. But the reason why I have projected the community edition for opening an online boutique site is that it is free to use and when tapped effectively it is as valuable as Enterprise edition. How effective will magento be in improving my online clothing store’s loading speed? Similarly go to System > Cache Management. Check all items, set the Action dropdown to “Enable” and then Submit. 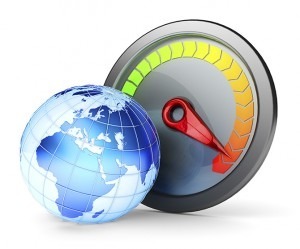 By doing so you will be able to improve your site’s performance. In addition to this, there are extensions like Full page cache and Lazy image loader. You can integrate them to your site for a better performance. I had also used a Magento platform for my own online Clothing store. 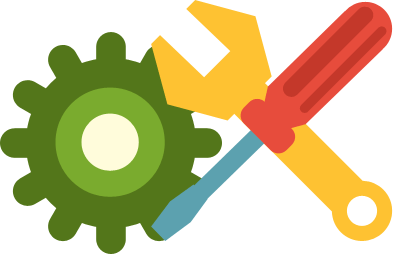 In this post you have mentioned that Magento supports Authorize.net, But I am facing issues while integrating Authorize.net to my clothing store. Thank you for writing to us. I feel that there could be a technical glitch and our developers will be able to sort it out. Please post the details of your problem to bd@contus.in. I hope your issue gets resolved soon. 1. Whether you require a merchant account or an all in one service provider? 2. Does the payment gateway support all payment methods and is it secure? 3. Is the payment gateway repute and most sought after in the market.? In my opinion I vouch for PayPal as it is very popular and secure. In case you face issues w.r.t payment gateway integration don’t hesitate get in touch with us. I wish to create an clothing website from scratch. But I have no prior experience or technical knowledge. It is for my existing clothing shop. Please revert.